On Thursday, October 24, Jewish organizations across North America were holding their breath to see who would be named in this year’s Slingshot Guide, the foremost resource of today’s most groundbreaking organizations, projects and programs of the North American Jewish community. From over 200 applications, evaluators chose 50 organizations – and highlighted another 17 as Standard Bearers – who they believed would drive the future of Jewish life and engagement. 18 organizations were featured in each of two new supplements – Disabilities & Inclusion and Women & Girls – in order to recognize novel ways that Jewish organizations support specific populations. A small group from the 83 evaluators reviewed each nominee against four criteria: innovation, impact, strong leadership and organizational effectiveness. As it turns out, 8 organizations in Greater Boston had what it takes to be listed in some part of the guide. Out of the 17 organizations selected to be Standard Bearers, 4 hail from Greater Boston: Gateways: Access to Jewish Education, InterfaithFamily, Keshet, and Mayyim Hayyim Living Waters Community Mikveh and Education Center. Four more innovative Jewish organizations in the Boston area were selected for the first time. The David Project and JOIN for Justice were both listed in the guide. The Jewish Community Centers of Greater Boston’s JCC Camp Kingswood Zohar Program was recognized in the Disability & Inclusion supplement; the Jewish Women’s Archive was recognized in the Women & Girls supplement. Gateways: Access to Jewish Education is the central agency for special needs programs and services for students across Jewish educational organizations and denominations in Greater Boston. Slingshot noted that “through training for educators and consultations with organizations wishing to better include learners with disabilities, its multifaceted approach fills a critical void in Jewish education.” In addition to being a Standard Bearer, Gateways is also featured in the Disabilities and Inclusion supplement. The Jewish Women’s Archive is an online presence with virtual exhibits, oral history projects, an encyclopedia of over 2,000 articles, and engaging blog content, all aimed at preserving the legacy of both well- and lesser-known American Jewish women. “Jewish Women’s Archive (JWA) stands alone in pushing forward an agenda of inclusion of women in Jewish history,” wrote one Slingshot evaluator. Mayyim Hayyim Living Waters Community Mikveh and Education Center is a beautiful and radically inclusive mikveh (ritual bath) and education center for healing, celebrations, life transitions and conversion to Judaism. Mayyim Hayyim is the only organization in the guide that is recognized in both supplements and as a Standard Bearer. Boston has long been thought of as a city of innovation. Recognition in the Slingshot Guide by so many of its nonprofit organizations is just another confirmation of this. 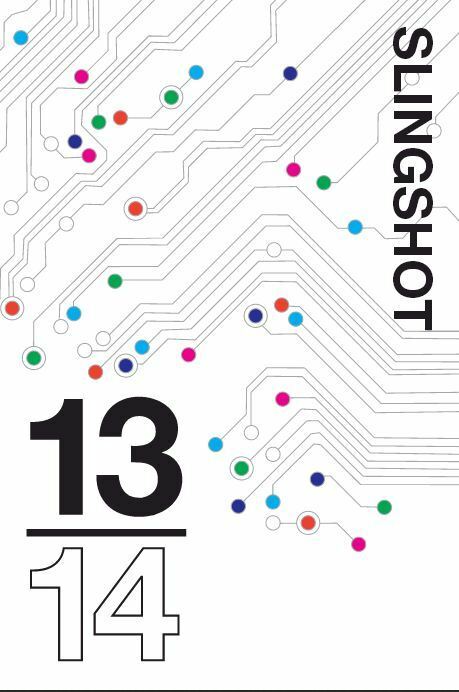 For more detailed information about the organizations in the Slingshot Guide 2013-2014, visit www.slingshotfund.org. A Meaningful Volunteer Experience: Gateways Teen Volunteer Program, Open House This Sunday!